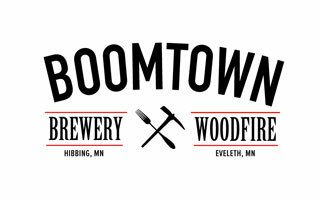 BoomTown Brewery & Woodfire Grill is an upscale casual restaurant with an in-house brewery. Opened in December of 2017 our goal is to produce hand-crafted micro-brews while serving up the areas best food. The entire brewing process can be seen from the main bar and dining room. We feature a Wood-fired grill with chef driven from scratch cuisine, including steaks, seafood, pastas, flatbreads and more. We can cater events on or off site and a semi-private dining area can be provided for parties of up to 75.